Like cardinals assembled for a conclave they sat on narrow velvet-padded stalls facing each other, five rows on one side and five rows on the other. The vast chamber was heavy with history: seven centuries ago, at the time of the Avignon papacy (1309-1418), it had hosted emperors and kings and accommodated several assemblies of cardinals. No white smoke and no ''Habemus Papam!'' announcement came out of the Conclave chamber of the Popes' Palace on 28-30 March. 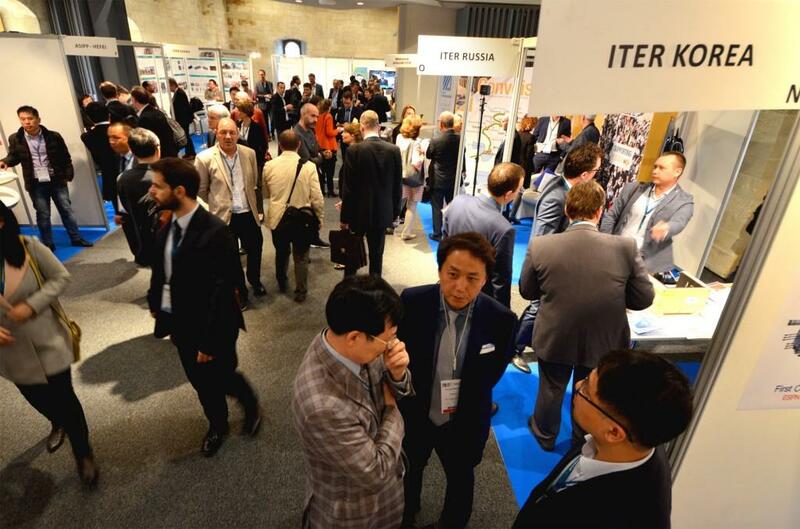 The 2017 ITER Business Forum was nonetheless a great success: more than 1,000 representatives of business, industry, and labs were present to hear about the progress and needs of the ITER Project. But the men and women seated in the Conclave chamber of the Popes' Palace, last week in Avignon, were not cardinals—although many of them were quite eminent. Nor were they assembled to elect a new pontiff. 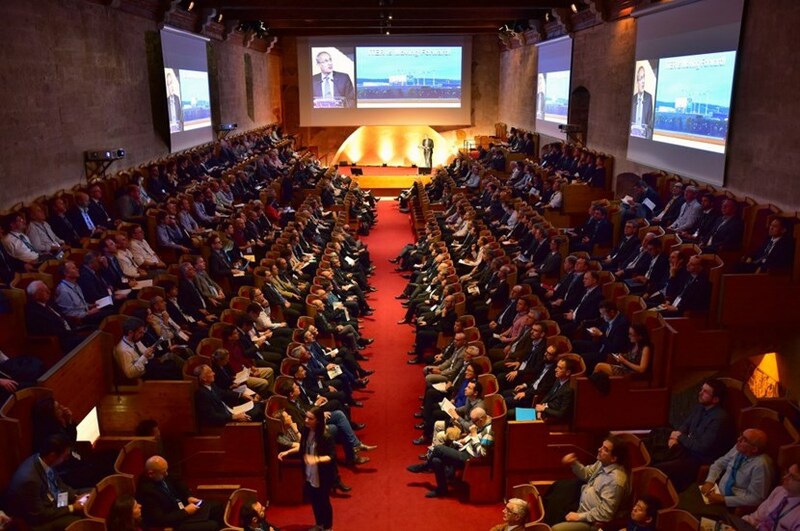 The 2017 edition of the ITER Business Forum (IBF/2017) was organized by Agence ITER France with the support of ITER Organization and the Domestic Agencies, the F4E Industrial Liaison Officers (ILO) network and local authorities (the Avignon municipality, the département of Vaucluse and its development agency "Vaucluse Provence Attractivité," the Greater Avignon council, the Provence-Alpes-Côte d'Azur Region, the Chamber of Commerce and Industry of Vaucluse), AIFEN (the French Nuclear industry), Capenergies and Nuclear Valley from France. 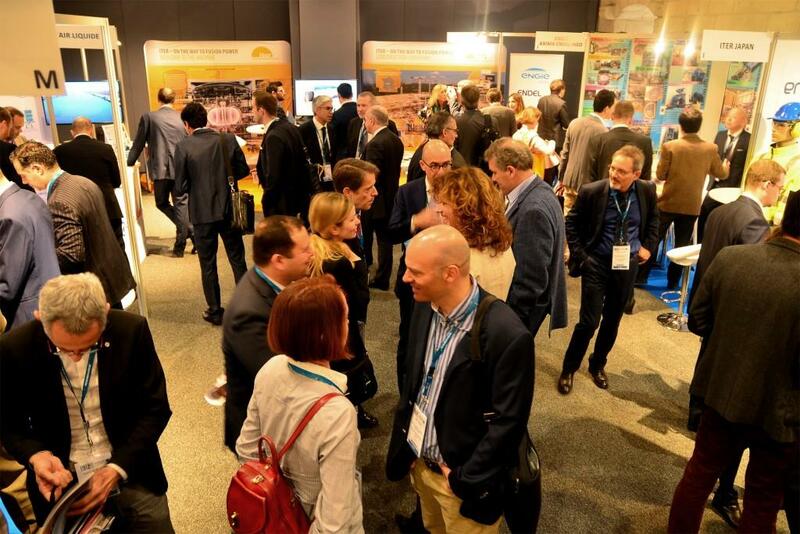 The participants were business and industry leaders from all over the world who had come to Avignon to meet with the ITER's main actors and hear updates on the project's progress, needs and forthcoming tenders. For the first time in the ITER Business Forum's ten-year history the number of participants passed the 1,000 mark—1,005 to be precise. Close to 450 companies, laboratories and institutions from 25 countries were represented; 15 percent came from outside of Europe. 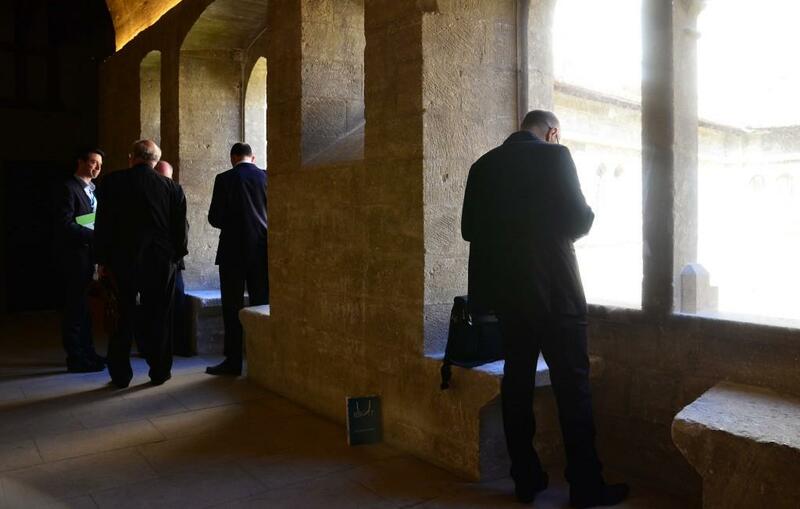 "The historical setting, the serenity that emanates from the palace's venerable stones lent extra resonance to the event," says Sabine Portier, the French industrial liaison officer for ITER (and co-organizer of the event, together with her colleague Philippe Olivier). Anything one needed to know about ITER—how the project is organized, recent progress, what industrial opportunities are planned for the next months and years, ITER Organization expectations, etc.—was available through presentations, thematic sessions, business-to-business meetings and informal conversations. 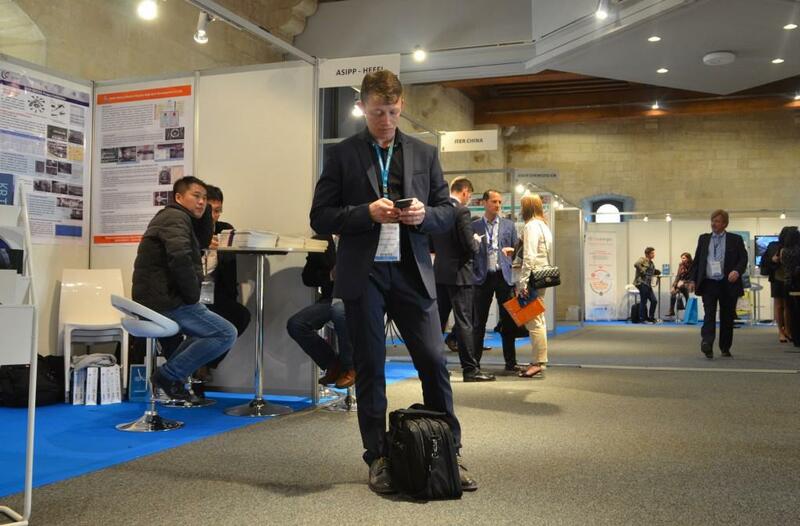 Some 200 staff from the ITER Organization, Agence Iter France and the ITER Domestic Agencies were on hand to provide explanation as well as representatives of the project's main suppliers. There are two periods in what is called the "Avignon Papacy," when Popes resided in the southern French town, then a vassal city of the Holy See. During the first one, from 1309 to 1377, seven successive Popes, all "legitimate," decided for political reasons not to reside in Rome. In the second period, from 1378 to 1418, "rival Popes," one in Avignon, one in Rome, claimed authority over the Church ... thus creating what is known as the "Western Schism." The issue was eventually settled at the Council of Constance in 1414 and Popes returned to Rome, leaving behind in Avignon the spectacular architectural and artistic legacy of their century-long sojourn. Strong support from the industry is vital to the success of ITER," said Jacques Vayron, the director of Agence Iter-France, as he greeted participants on the morning of 29 March in the Conclave chamber. "This is a unique event where research and industry, large and small, can meet to foster the development of new partnerships." And partnership is the key word for an endeavour that Bernard Bigot, Director-General of the ITER Organization, describes as "among the most ambitious mankind has ever attempted." Bigot insisted on the necessity of collectively sharing the commitment to making ITER a sound investment "for all our Members and all our partners—business and industry included." And although Avignon is used to hosting large cosmopolitan crowds—particularly during the world-famous theatre festival in July—the presence off-season of more than 1,000 people in and around the Popes' Palace in late March was an event in itself. Palace employees, municipal police, waiters in sidewalk cafés ... all wished to know what the business forum was about and what ITER was for. When the usual explanations were provided (an artificial Sun, a uniquely complex machine, an unprecedented international collaboration ...) they were received with awe and incredulity. "Well... there's no stopping progress," summarized a waiter on the Place de l'Horloge. (1) The "Foreign Investor Prize" was awarded to Rolls Royce Nuclear Field Services, which provides remote handling industrial inspection for ITER. Nine Popes, from the early 14th century to the mid-15th, walked upon these grounds. 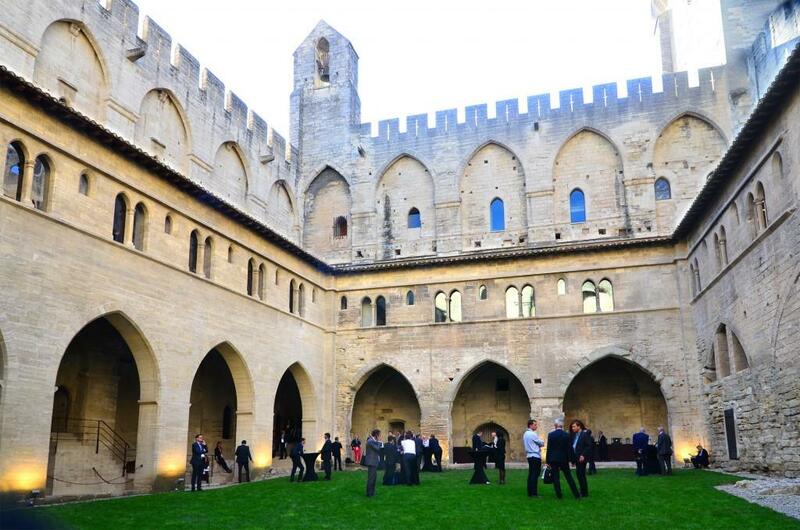 On 28-30 March 2017, the Popes' palace hosted the sixth edition of the ITER Business Forum (IBF/17). 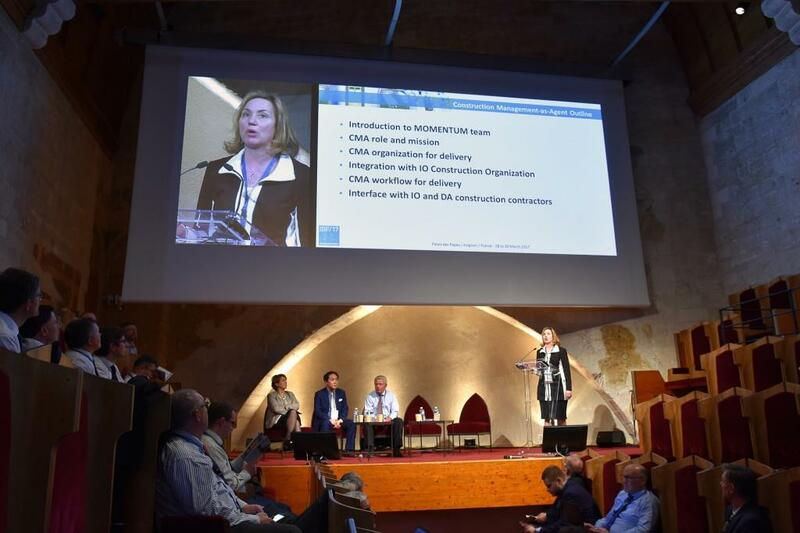 All the project stakeholders—the ITER Organization, Agence Iter-France, and Domestic Agencies—plus main suppliers, laboratories, institutions and businesses large and small were present at IBF/17, held in Avignon's Palace of the Popes. The IBF/17 stands were located in a large room ("la paneterie") that used to be home to the Palace employees in charge of preparing meals (300 per day) for the Pontifical court and distributing wine and bread to the city's paupers. Local government representatives are treated to a 3D experience with the small "magic box" developed by ITER Communication. From left to right: Jacques Vayron, Director of Agence Iter-France; Bernard Bigot, Director-General of the ITER Organization; Cécile Helle, mayor of Avignon; Maurice Chabert, president of the Vaucluse department council; and Sonia Zidate, vice-president of the PACA region. 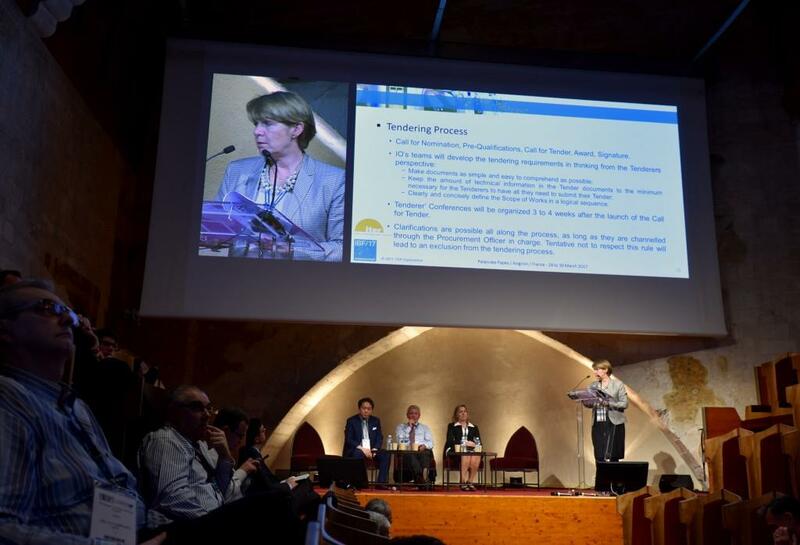 The ITER Organization's tendering process—and future opportunities—were explained in detail to IBF/17 participants by Françoise Flament, ITER Procurement & Contract Division head, on the first day of the forum. For the first time in IBF's eleven-year history (the first edition was held in Nice, France, in 2006), the number of participants passed the 1,000 mark ─ 1,005 to be precise. Close to 450 companies, laboratories and institutions from 25 countries were represented; 15 percent came from outside of Europe. 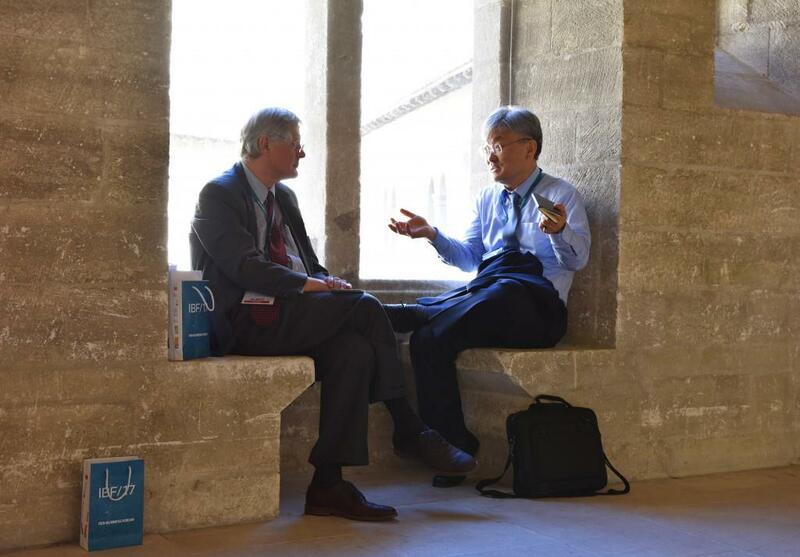 Sitting by a window in the gallery above the Benedict XII Cloister two eminences, US ITER Project Manager Ned Sauthoff (left) and ITER Organization Deputy Director-General and Chief Operating Officer Gyung Su Lee, discuss the affairs of the day. 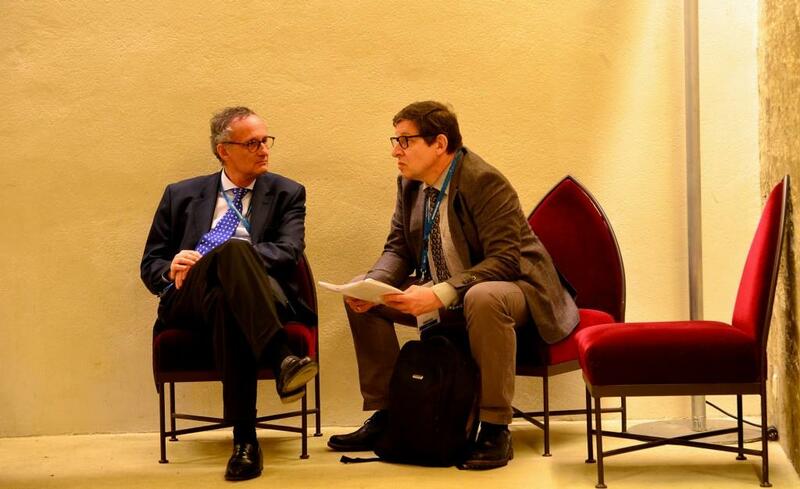 A conversation in the wings of the conclave between Pascal Weil (left), marketing director at energy provider Engie, and André Grosman, deputy head of the French Institute for Magnetic Fusion Research (IRFM). "The historical setting, the serenity that emanates from the palace's venerable stones lent extra resonance to the event," says Sabine Portier, the French industrial liaison officer for ITER (and co-organizer of IBF 17, together with her colleague Philippe Olivier). Cardinal red, the dominant colour in the Palace of the Popes (seen even in the carpeting! 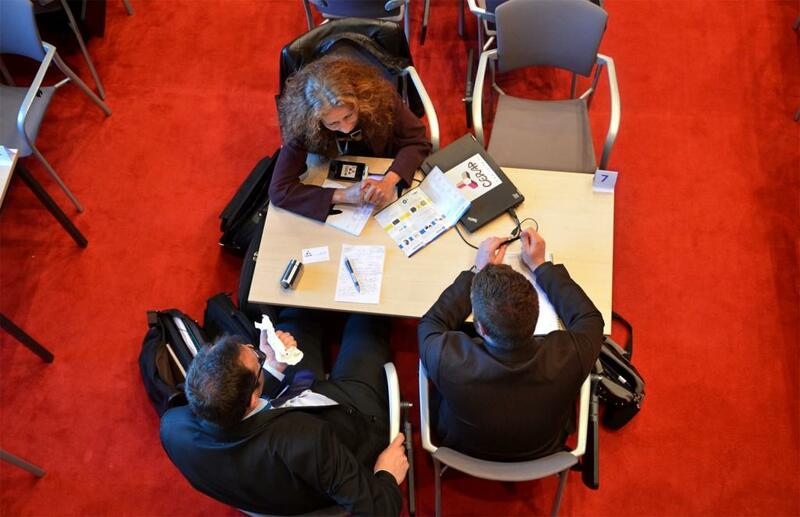 ), provides a striking background to this image of one of the hundreds of business-to-business (B2B) meetings held during IBF/17. In June 2016, the MOMENTUM joint venture was awarded a 10-year, EUR 174 million contract, to coordinate work for the assembly of the ITER machine and plant. MOMENTUM Senior Manager Angie Jones explained in detail how work is getting off to a start.